Our active wireless speakers are made for you who are looking for a total music system and who doesn’t compromise when it comes to quality. 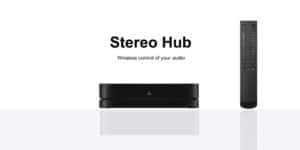 When you shop at System Audio, you are always ensured thoroughly tested speakers with a nice sound. Today, most music is played from a phone. That means that it isn’t just the living room, which sets the scene for the music. We hear music everywhere. You can see the tendency in the speakers that people take with them when they’re on the move. They are small and easy to transport. Unfortunately, the sound isn’t always consistent with the product which left the sound studio, in which sound technicians spent hours and hours to get the sound to be just right. Too much of the music gets lost with bad speakers. But at System Audio, it’s not like that. Our active speakers are developed by music lovers – for music lovers! Here, you will find no mono sound or compressed dynamics. Our active, wireless speakers make the music come alive and ensure you a fantastic experience. Generally, you distinguish between active and passive speakers. Passive speakers require an amplifier, while active speakers have one built in. This means that you don’t have to invest in an amplifier when you choose to listen to music from an active wireless speaker. At the same time, you save room and can quickly connect the sound source directly to the speakers without fumbling with extra cables. At System Audio, we have constructed the built-in amplifiers so that they sound better than an external amplifier which gives you two benefits from us. You get the same comfort as with multi-room speakers but without compromising on the sound. On this site, you can explore our active speakers. Among other things, you find active wireless speakers, which enable you to listen to music without the fuss of cables and devices and which lets you control the music regardless of where you are in your home. At System Audio, you also find nice Danish and Scandinavian design with a focus on aesthetics as well as the sound.